Описание:Internet Marketing: Readings and Online Resources provides students with an introduction to internet marketing and the informative foundation they need to maneuver through the world of “interactive marketing”. This term describes how marketers are using the Internet to decrease transaction costs, improve brand image, enhance customer relations, and create entirely new distribution channels for products and services. 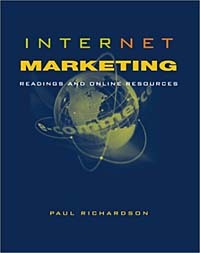 Richardson mixes a collection of current readings to introduce the student to fundamental concepts of internet marketing organized in a traditional principles of marketing approach. Traditional marketing concepts are still valid; what changes in the internet environment are the applications.